The disaster restoration and cleaning services that we provide include water and flood damage cleanup, fire damage restoration, carpet cleaning, soot puffback cleaning, and mold remediation to name a few. Our technicians can also help you coordinate your claims with your insurance provider. We are available 24 hours a day at (631) 206-6808 to respond to emergencies in Franklin Square, NY and the surrounding areas. 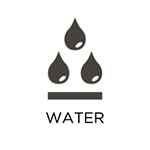 More property damage in both residential and commercial buildings is caused by water or moisture than anything else. Water damage can be difficult to prevent because it can happen at any time from a plumbing leak, overflow, seepage from heavy rain, natural floods, or sewage backups. The danger with excess water is that it can spread rather quickly into the building materials and furnishings of your home, causing extensive damage and even mold growth before you realize the extent of the damage. RestorationMaster provides water damage restoration services to cleanup and restore affected homes and businesses in Franklin Square, NY. Our technicians use advanced drying and dehumidification techniques to extract the excess moisture from the affected materials. Indoor flooding is a major issue that can result in very extensive damage and unsanitary conditions. Standing water very quickly penetrates flooring, drywall, and furnishings which greatly increases the risk of structural damage and mold growth. It is also possible for flooding to be mixed with sewage or dangerous microorganisms, especially if the flooding came in from outside. Whether the flooding in your home is caused by a natural flood or a serious leak or overflow, you need to react immediately to limit the damage. RestorationMaster provides flood damage restoration services to help homes and businesses in Franklin Square, NY that have been affected by flooding. Our technicians have the right equipment to remove standing water and we will thoroughly restore the damaged areas to bring them back to their original condition. Fires are major disasters that scare homeowners and property owners because they can happen pretty much any time. When a fire occurs it spreads quickly, causing extensive damage and immediately putting everyone inside in great danger. 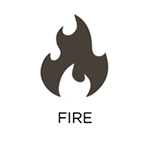 You must get the home or building evacuated as soon as a fire breaks out and call the fire department to put it out. Once the fire is out, you cannot waste time beginning the restoration of your property because elements of the fire such as soot and smoke will make the damage worse. RestorationMaster provides complete fire damage restoration services to help restore and rebuild affected homes and buildings in Franklin Square, NY. Our technicians can handle the entire restoration process from cleaning soot and smoke damage to building stabilization and reconstruction. While fires are quite destructive themselves, the smoke, soot, and other byproducts of a fire can also cause significant damage. In cases involving small fires or furnace puffbacks, the smoke and soot can actually result in more damage than the fire itself. The byproducts created by a fire are corrosive and can cause permanent etching and discoloration on many household objects and materials. At RestorationMaster, we can restore surfaces and objects affected by these corrosive materials with our smoke and soot puffback cleaning services in Franklin Square, NY. Our technicians can effectively treat materials damaged by smoke and soot and provide deodorization services if necessary. Mold is a common nuisance in homes and buildings that can do more than just damage your property. Mold appears in areas in which it has a moisture source and a food source, and it slowly devours the affected surfaces, eventually leading to serious damage. 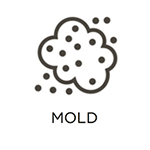 The possible health effects associated with mold are also a major concern as exposure can lead to allergic reactions such as nasal congestion, coughing, and skin irritation as well as more serious infections. RestorationMaster provides complete mold remediation services to help homes and businesses in Franklin Square, NY dealing with mold issues. We will contain and remove the mold growth from your property and provide testing through a third party to make sure your property is mold free. Most natural disasters cause pervasive damage in homes and buildings and they do not discriminate when it comes to what they damage. The structural elements and furnishings in your home are not the only things in danger as many disasters will cause damage to your personal belongings as well. When this happens, many of your personal belongings may be in danger of permanent damage, making it important to have them cleaned and restored as quickly as possible. RestorationMaster provides content cleaning and pack-out services in Franklin Square, NY to restore damaged personal items. We can effectively clean and restore a wide range of content on your property or take your content to our facility for restoration if the condition of your property does not allow the restoration to happen onsite. Dust gathers in every home and building and over time, the dust and other airborne debris pass through the air ducts. The HVAC system draws in air each time it runs and much of the dust that passes through the system gathers on the walls of the air ducts and on the component parts. This will not only slow the efficiency of the HVAC system, raising your heating and cooling bills, but also increase the risk of a malfunction that could be expensive to repair. RestorationMaster provides air duct cleaning services in Franklin Square, NY to remove built up debris from the HVAC system. Our air duct cleaning services will result in cleaner breathing air and lower energy bills. It is easy to overlook the carpeting in a home or office until it becomes noticeably dirty, stained, or worn out. Constant foot traffic contributes to a steady buildup of debris in the fibers, and the buildup happens deep enough in the fibers that regular vacuuming is not enough to remove it. If the debris is allowed to build, the carpeting will become noticeably dirty and can start to deteriorate prematurely. At RestorationMaster, we provide carpet cleaning services for homes and businesses in Franklin Square, NY. Our advanced cleaning methods will effectively remove embedded debris and stains to restore the look of your carpet and help extend its life.